Rare opportunity to own this custom built bay front home with amazing views! This stunning estate features over 11,000 sq ft and is uniquely positioned on 2.26 acres. 8 bed.6.5 baths w/ private In-law quarters including kitchen and laundry rm. This tropical oasis includes a pond w/ a charming bridge and tennis/basketball court. This home is ideal for entertaining your guests w/ a 40x20 pool with spa & summer kitchen. 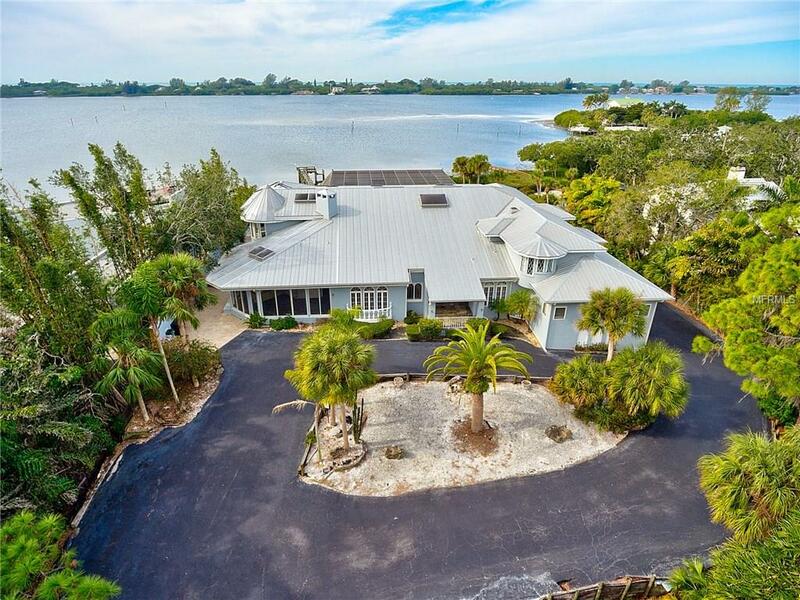 Spend the weekend on your 150 ft fishing pier into Lemon Bay w/ serene views. The interior features a large kitchen w/ a separate built-in Hibachi grill and impressive dining room w/ crystal chandelier. Living and dining areas are perfect entertainment spaces including a sunken fireplace and seating-in-the round. Ultra grand master suite that includes two enormous walk-in closets and a private den area. The second floor includes a dramatic spiral staircase and custom chandelier, game area, catwalk, den w/ double-sided fireplace, and peek-a-boo glass floor. All new A/Cs, garage doors & openers w/ iPhone control, 8 new electric gate motors, new nest thermostats, ceiling fans, new tennis court, interior & exterior paint, appliances in all kitchens, new cabinetry, marble, granite, and tile flooring, new pool equipment, electric car charging stations, home networking, camera system, pool screening and doors, LED lighting, & remodelled baths. Bring your kayak or canoe, and your dreams of owning a waterfront paradise! Bring all of your toys to store in the 8 car garage! Welcome to paradise!